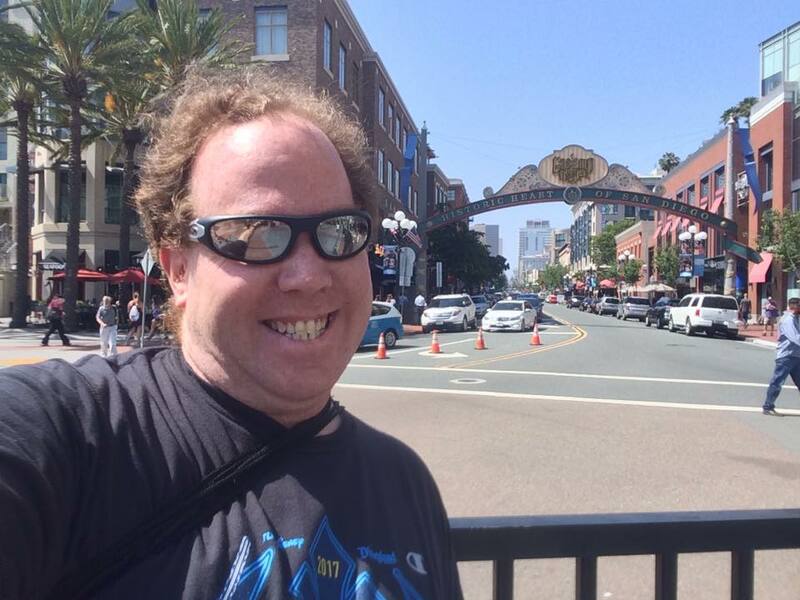 So, it’s about time I get to blogging about my recent trip down to San Diego for the Rock n Roll San Diego Half Marathon. I’ve got to warn you. This post will be a rather long one. 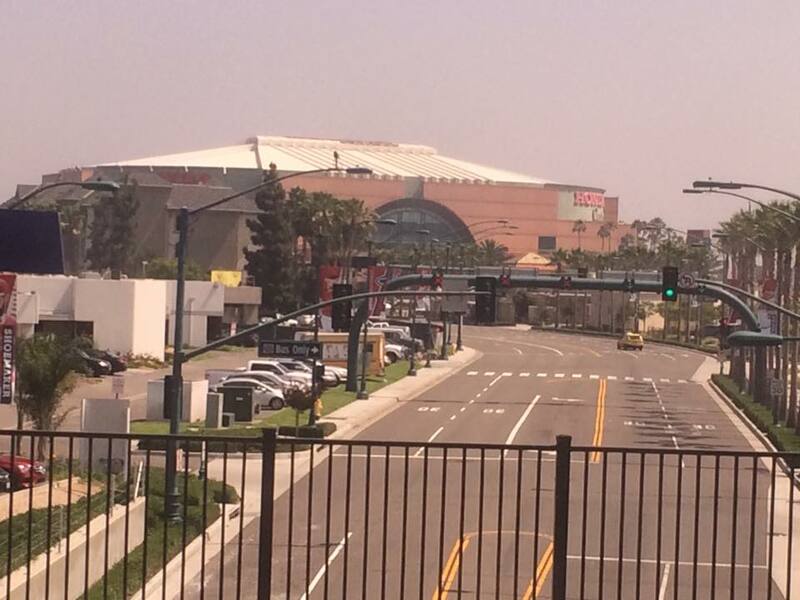 It covers getting down to San Diego, the Expo, and a San Diego Padres Game. Yep. It was quite a day! After dropping my boy off at day care, I headed home and finished my packing. 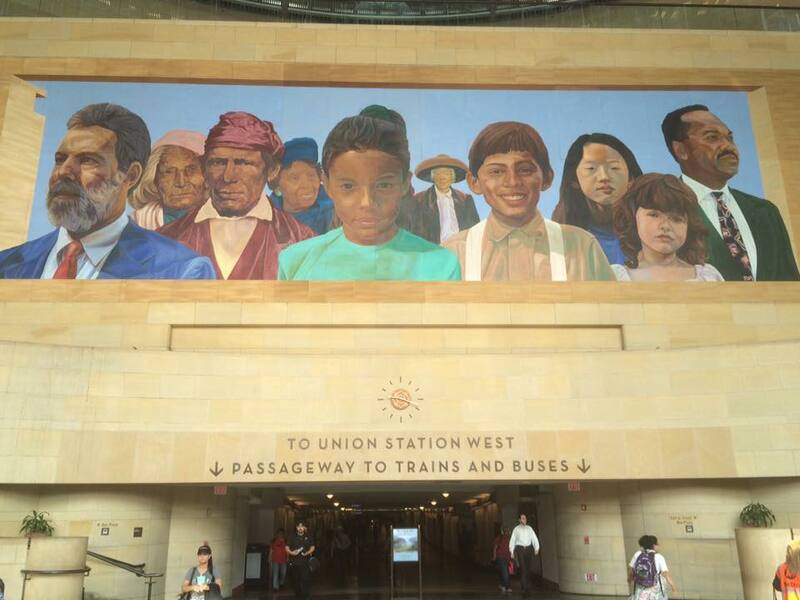 For this trip, I decided to take the train all the way from Pasadena to San Diego. 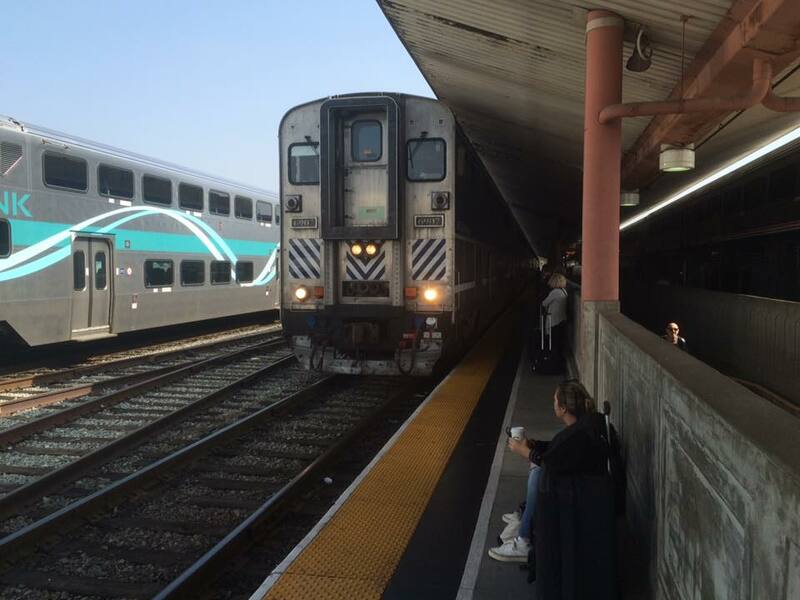 My first train was taking the Gold Line into Union Station. I love this place! 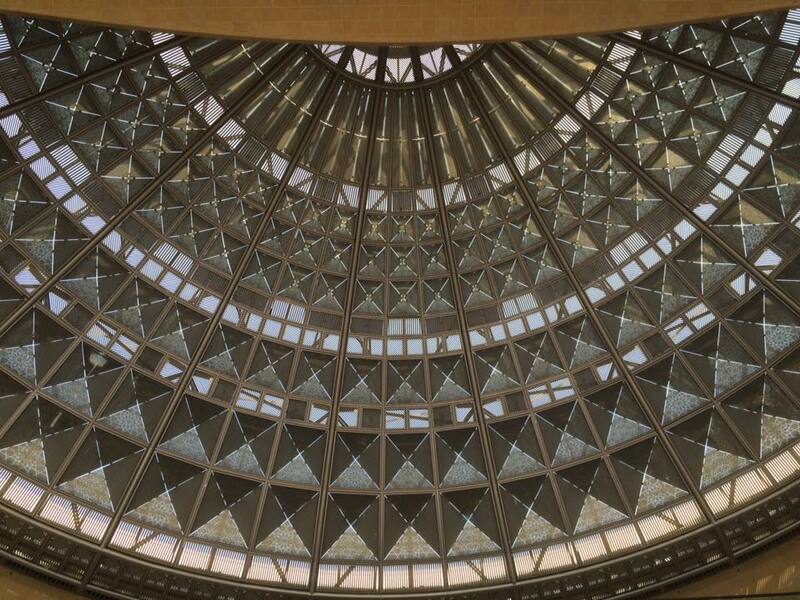 It’s a rather iconic station that gets featured in movies and television shows. So, even though I arrived at Union Station with plenty of time to spare, it was fun to walk around. 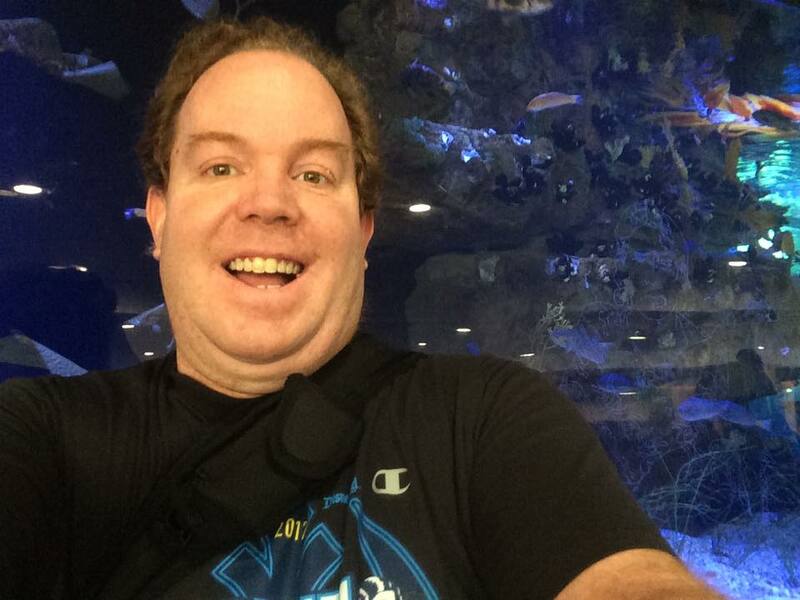 They even had this fun aquarium. For those wondering. I didn’t find Nemo…or Dory. Eventually, I made my way to the train track where my train was scheduled to arrive. 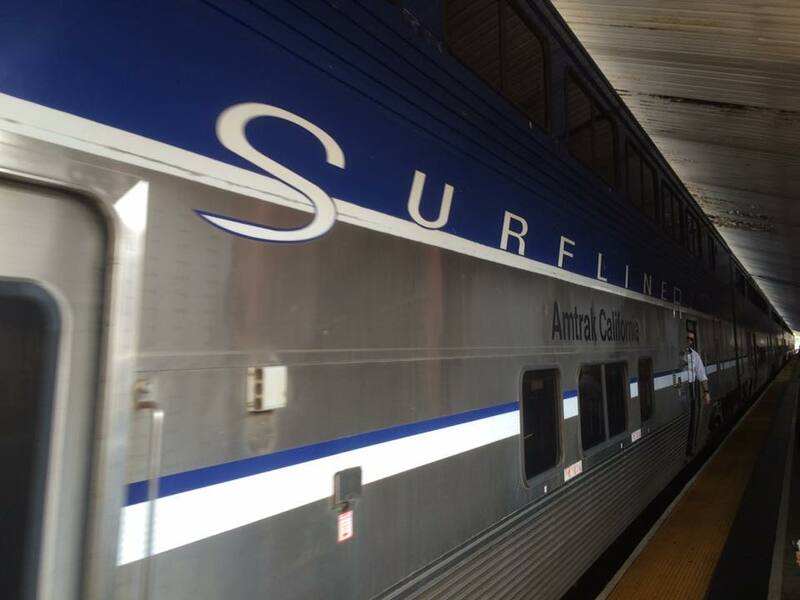 The train I took was the Amtrak Pacific Surfliner. I believe this train goes all the way up to Northern California. For the cost of parking at my hotel in San Diego, I got these train tickets. So, by using the train, not only was I saving the price of gasoline, but I got the convenience of letting Amtrak do the driving. 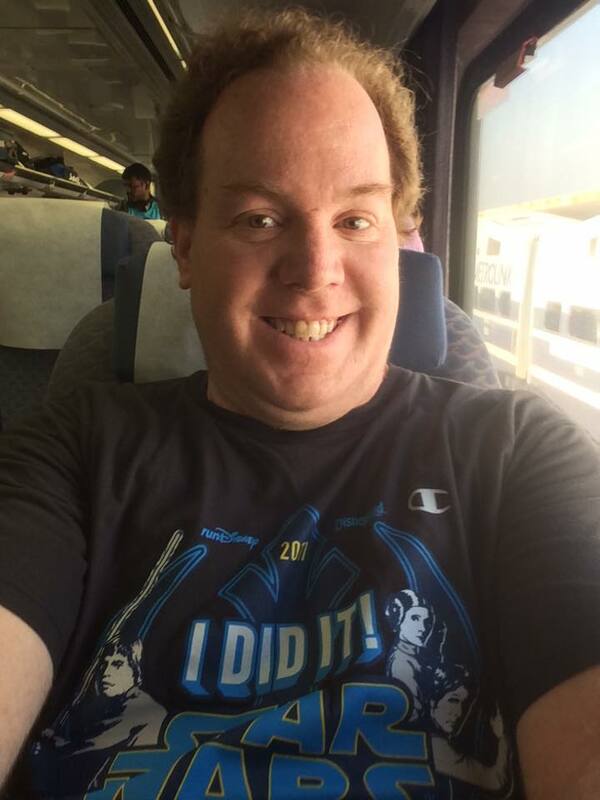 I was pretty excited as this was my first trip with Amtrak. I got on board and was ready for the adventure to begin! 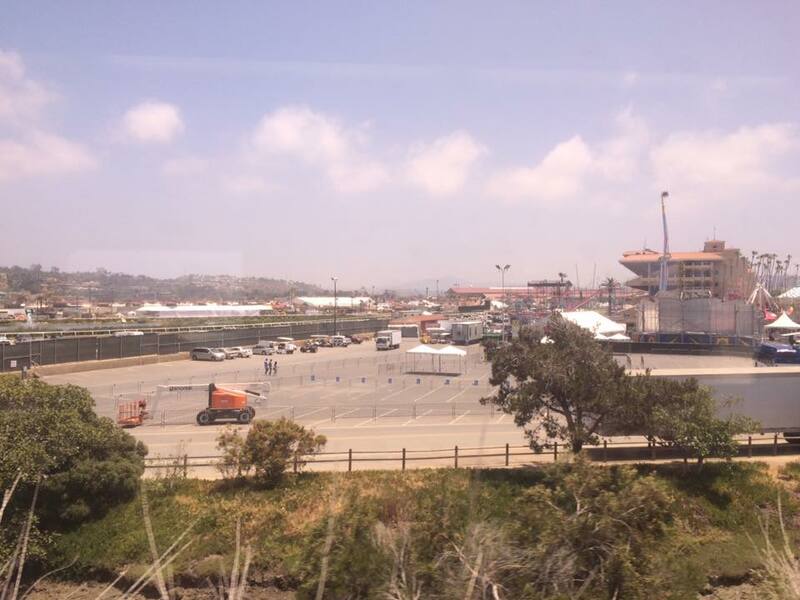 and the Del Mar Fair Grounds. There were also some pretty great views of the Pacific Ocean. Unfortunately, I was on the wrong side of the train to get good pictures. On the way home, I remedied that. It took around 3 hours to get to San Diego. However, I made it safe and sound! If I had driven, it could have taken just as long. Traffic in Southern California is no joke. It was a quick walk to the hotel I’d be staying at (The Spring Hill Suites). As luck would have it, they had a room all ready for me to check in (even though I was a little early)! 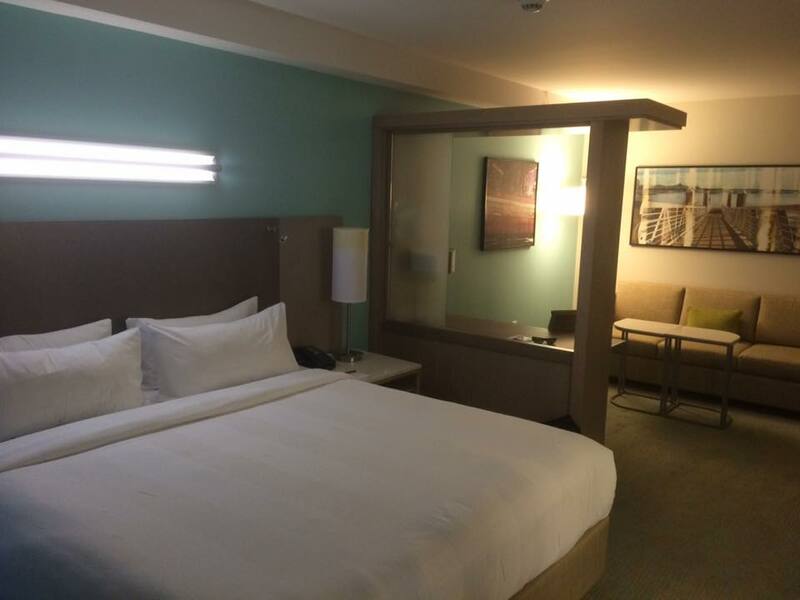 The room I had was AMAZING! 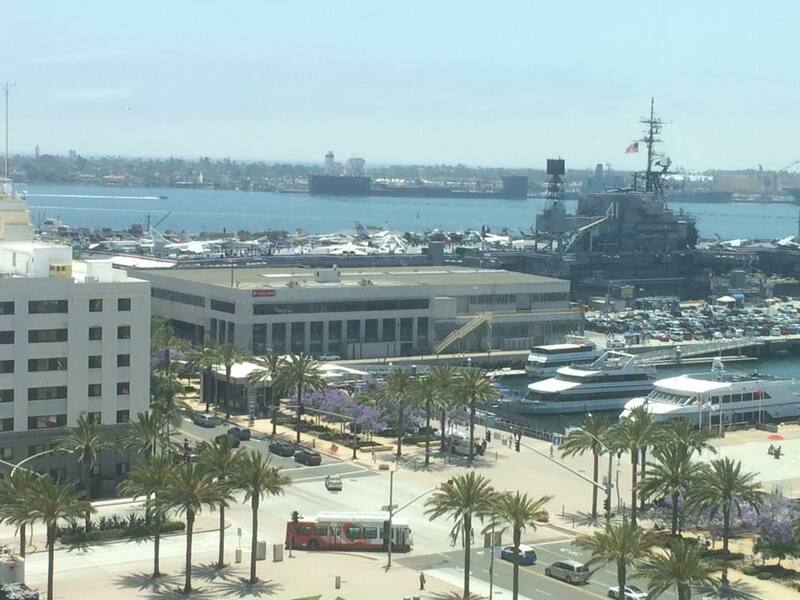 I had this sweet view of the San Diego Bay and the USS Midway! 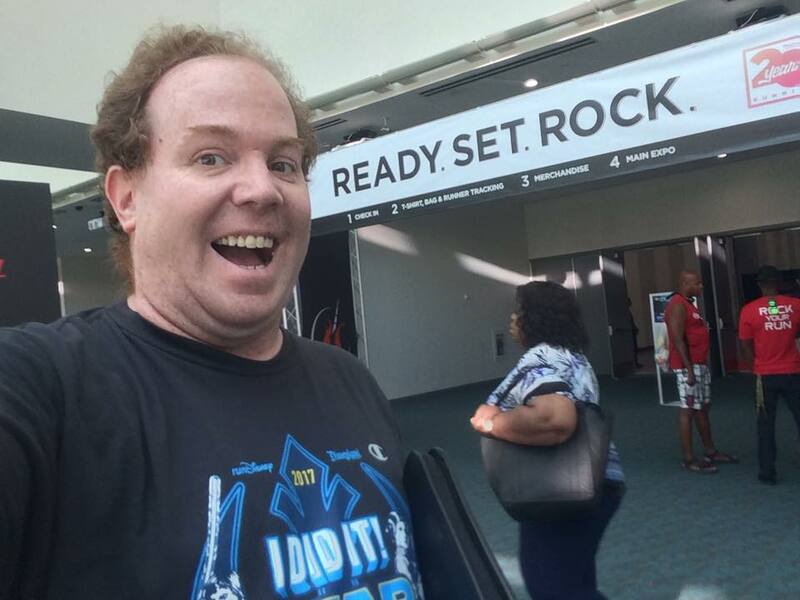 After unpacking my stuff, I headed out to the Red Car Trolley and made my way to the San Diego Convention Center and the Rock n Roll San Diego Marathon/Half Marathon Expo. I was all set to rock the expo! 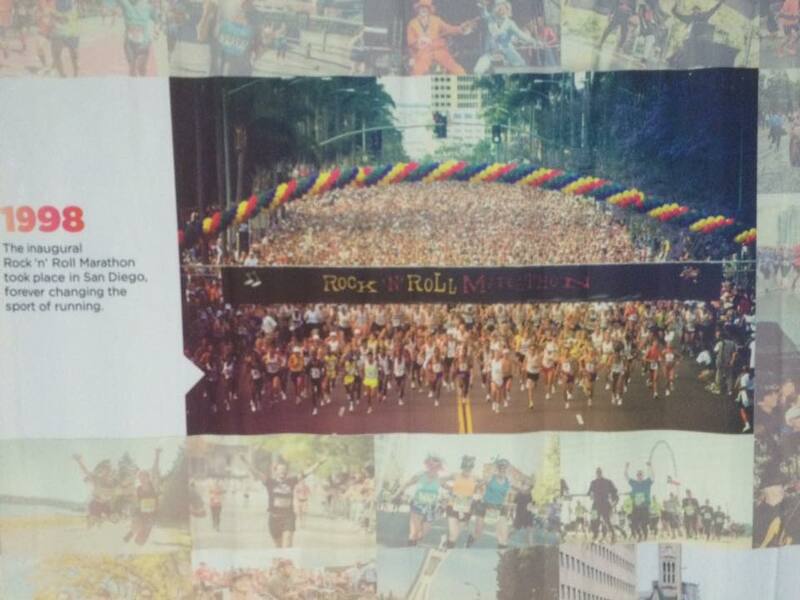 This was the 20th Anniversary of the Rock n Roll San Diego Marathon/Half Marathon…and the start of the Rock n Roll race series. So, they had the red carpet out for us. 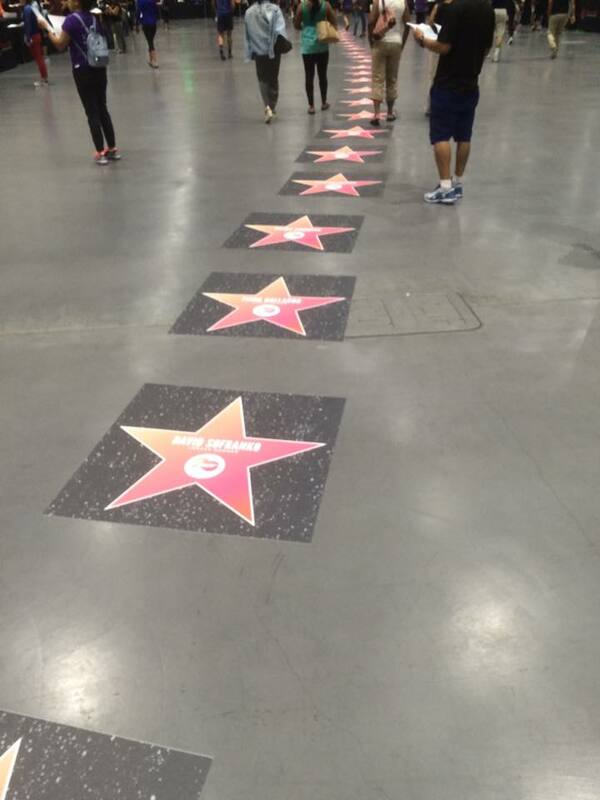 One of the touches I liked about the Expo was that they had these stars, like the Hollywood Walk of Fame, for all the legacy runners. Along the sides were banners celebrating 20 years of this event! And this pic is from when it all began! 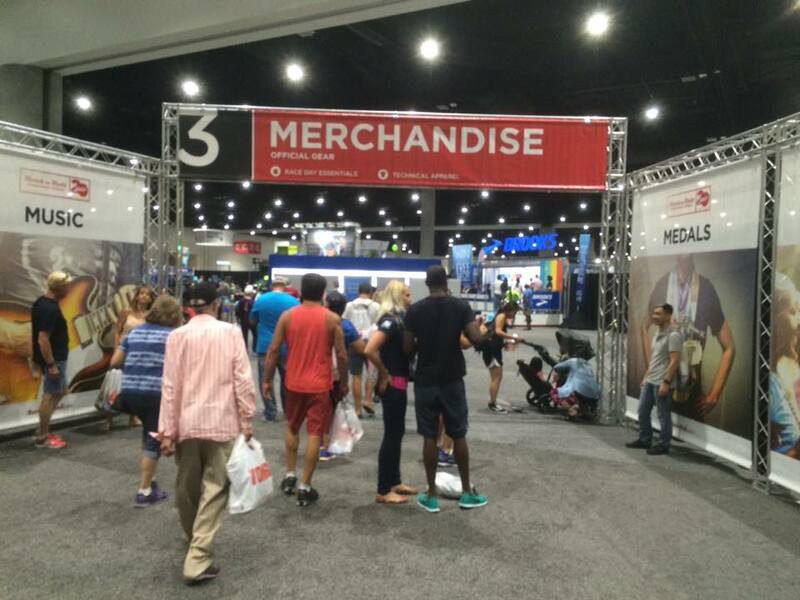 Once I picked up my bibs and race shirts, the next area was the official merchandise area. 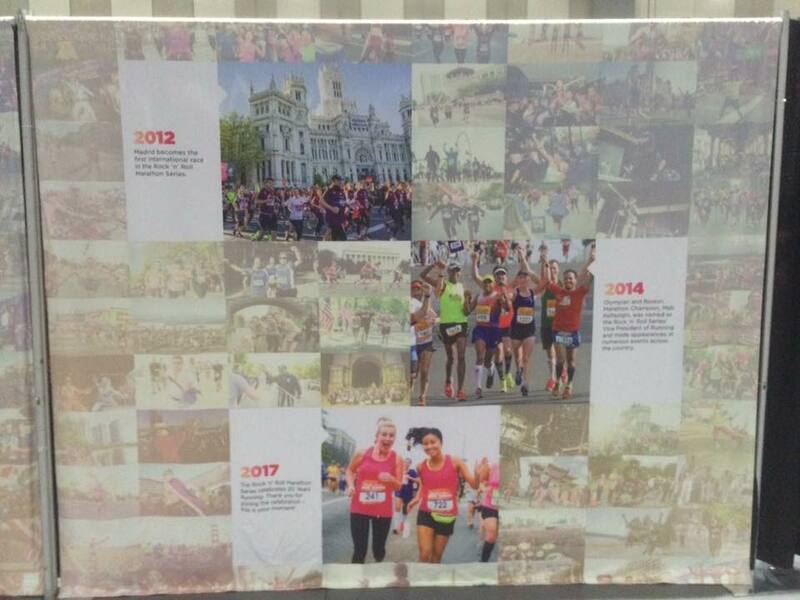 I must admit, for a race celebrating its 20th Anniversary, the merchandise was underwhelming. This is one are the Rock n Roll race series could raise their game. I mean with Rock n Roll as the theme of every race, they could come up with some pretty epic merchandise. 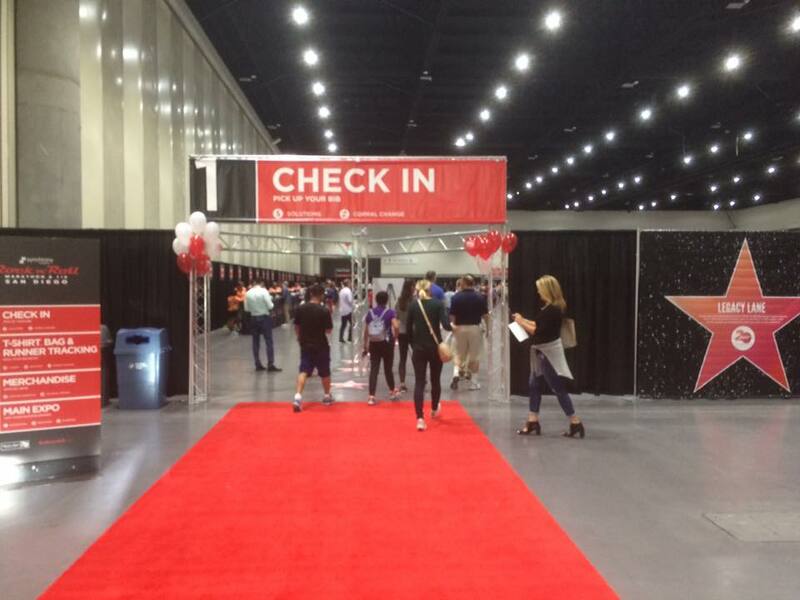 I made my way around the Expo’s main floor. 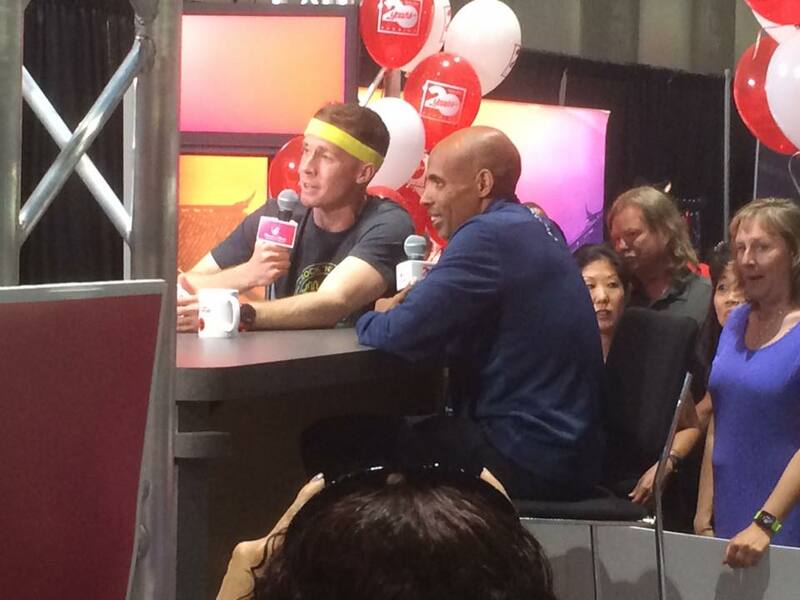 As luck would have it, Meb was doing an interview as I walked by! So, of course, I had to stop for a quick pic with Meb. 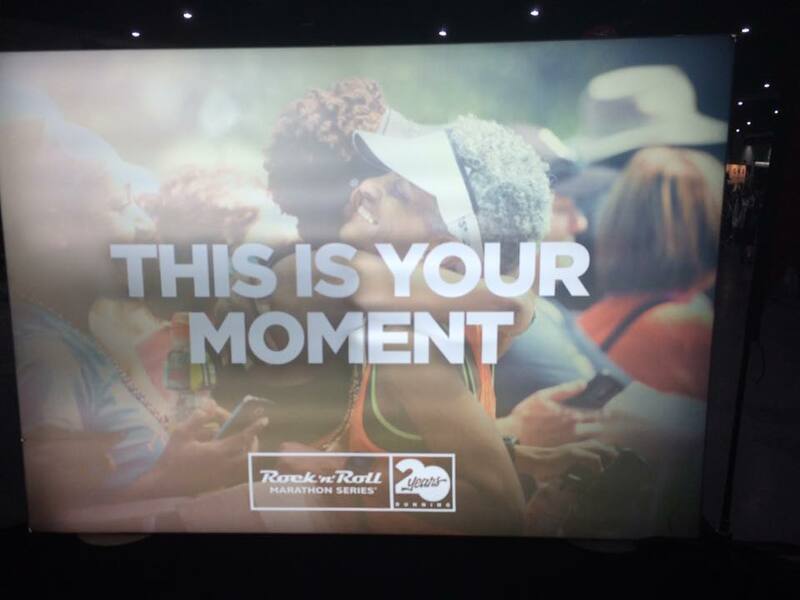 One of the booths I really wanted to hit up was the runDisney booth. 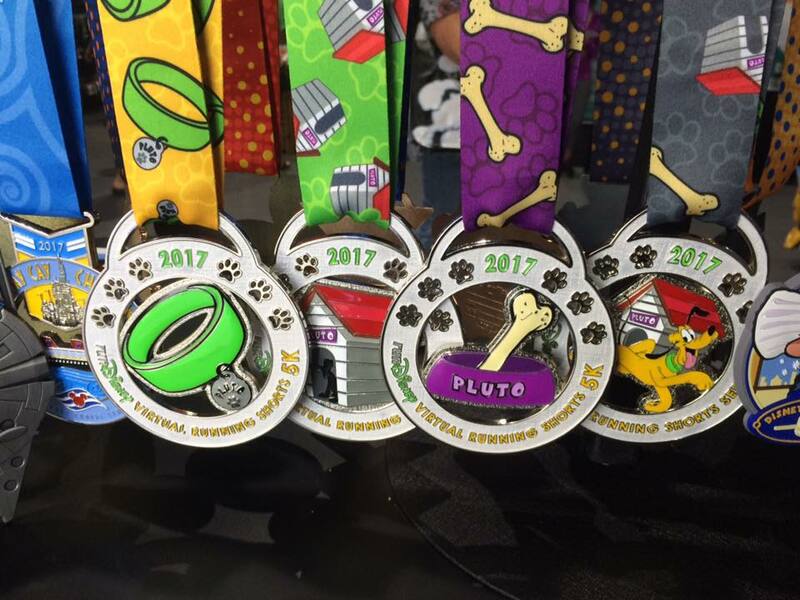 I was hoping they would have the medals for the 2017 Disneyland Half Marathon Weekend on display. Sadly, they didn’t. 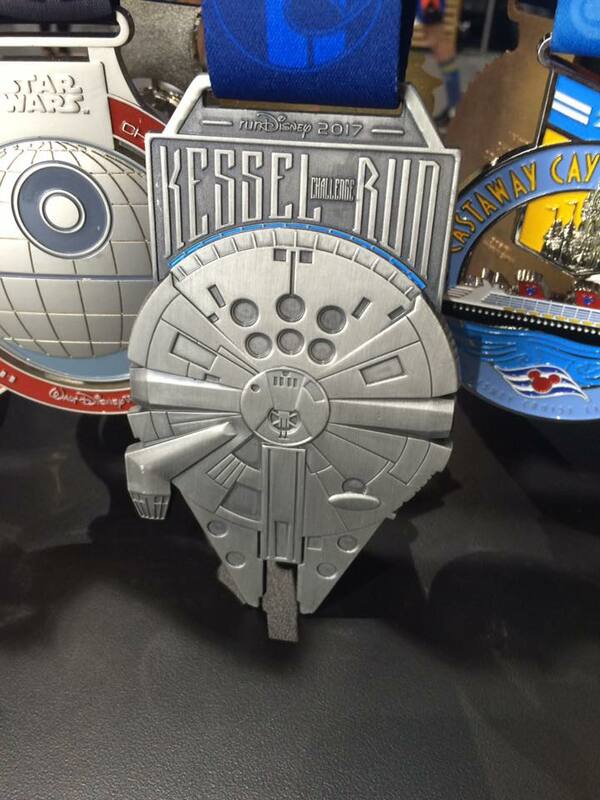 They did have the medals for the Virtual 5K series for this year. They look cool to me. However, I’m not impressed enough to participate. Pluto just isn’t enough to get me to spend my money on this virtual series. 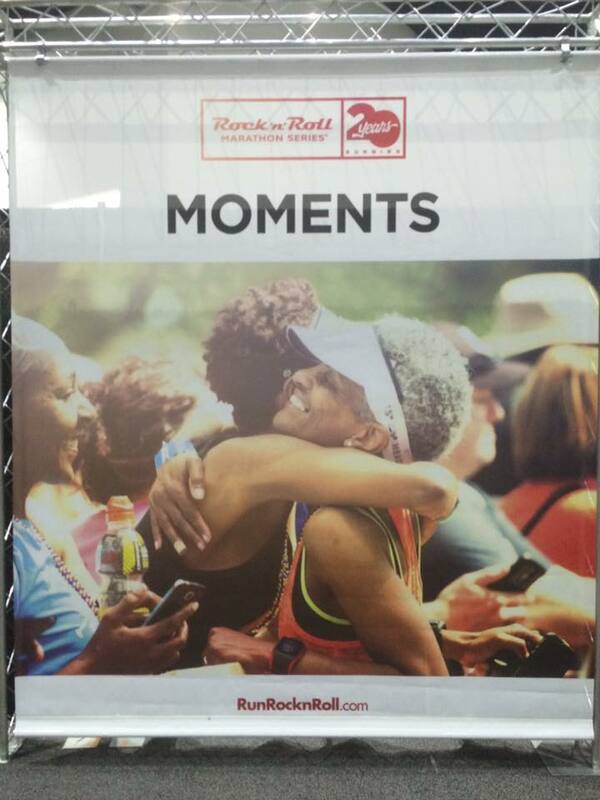 After walking around and taking in many of the exhibitors, it was time to leave the Expo and savor when it would truly be my moment! I went back to the hotel to drop off my race stuff and waited for my brother to call. 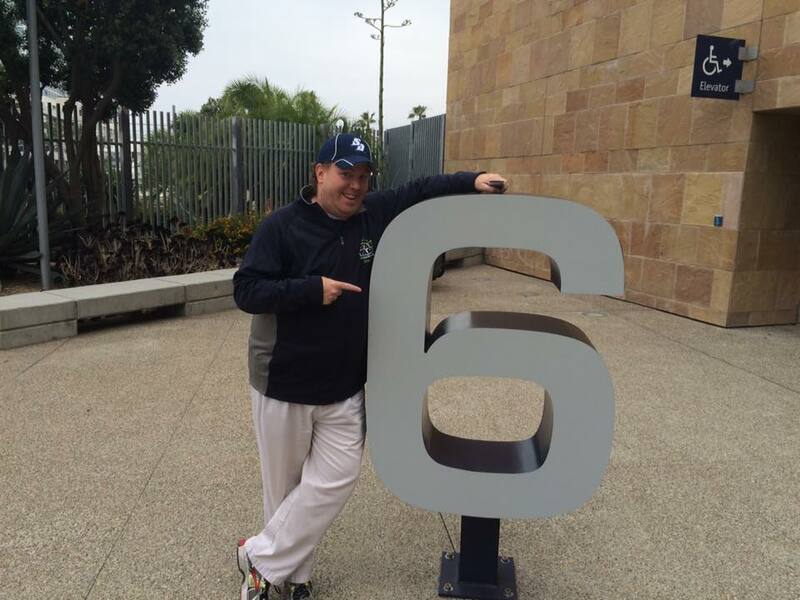 We were going to the San Diego Padres game! My bro has connections with the Padres and got us free tickets! I’ll never turn down free! In one part of the stadium, they have their retired numbers. This one is for my favorite baseball player as a kid…Steve Garvey! I couldn’t resist the pic. We had some pretty great seats! 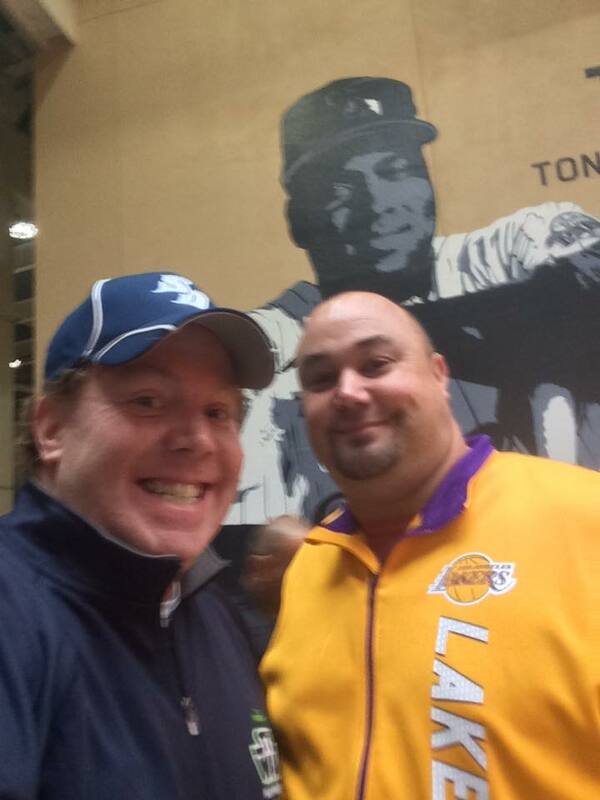 I had a blast chatting it up with my brother and taking in a very high scoring game. There were lots of home runs in this game! 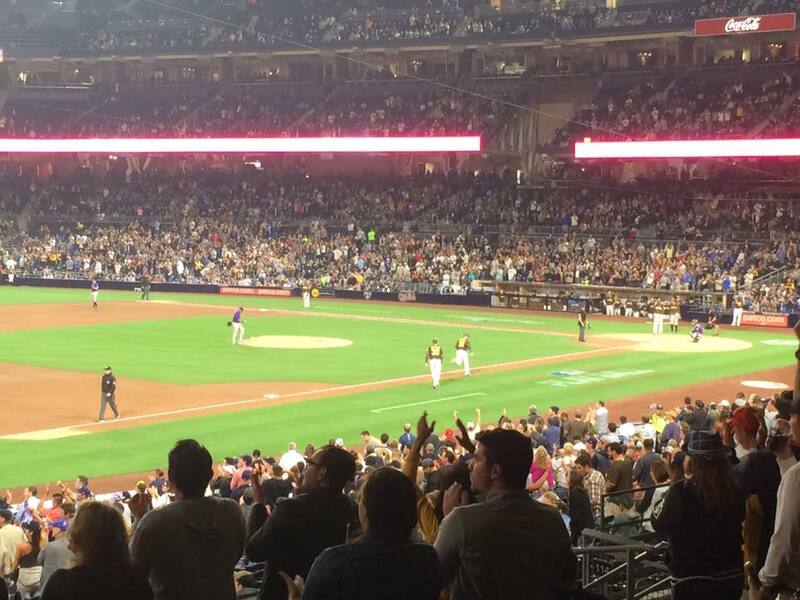 The Padres were even wearing their traditional brown jerseys. 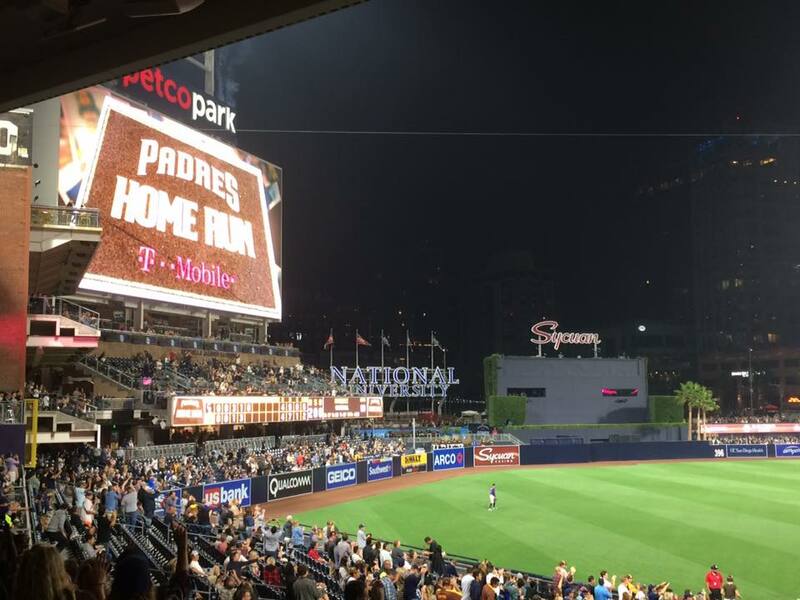 With the Padres up 8-5 in the 8th inning, it was getting late. So, since I had a 5K in the morning, we took off. To say I had a great first day in America’s Finest City is an understatement. 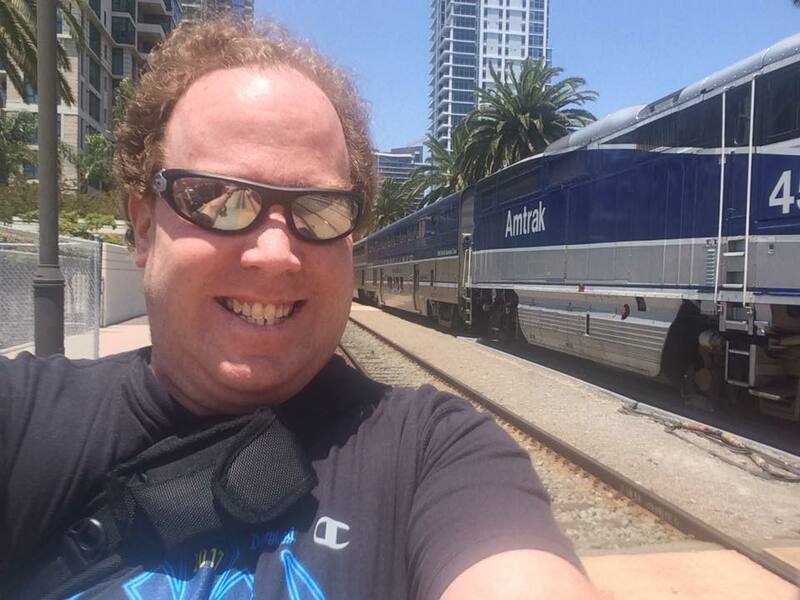 I loved riding the rails for the first time with Amtrak! 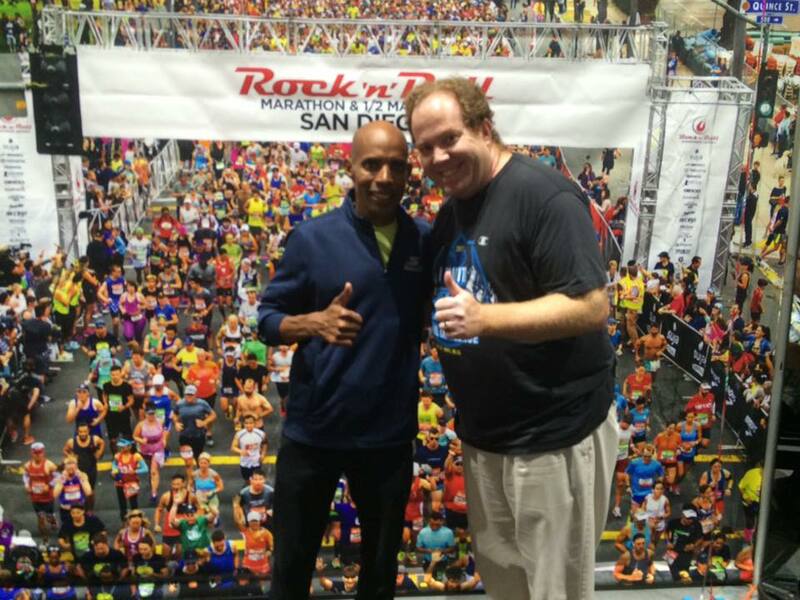 I had fun at the Expo and got to meet Meb again! Then, I ended the day with a fun baseball game! 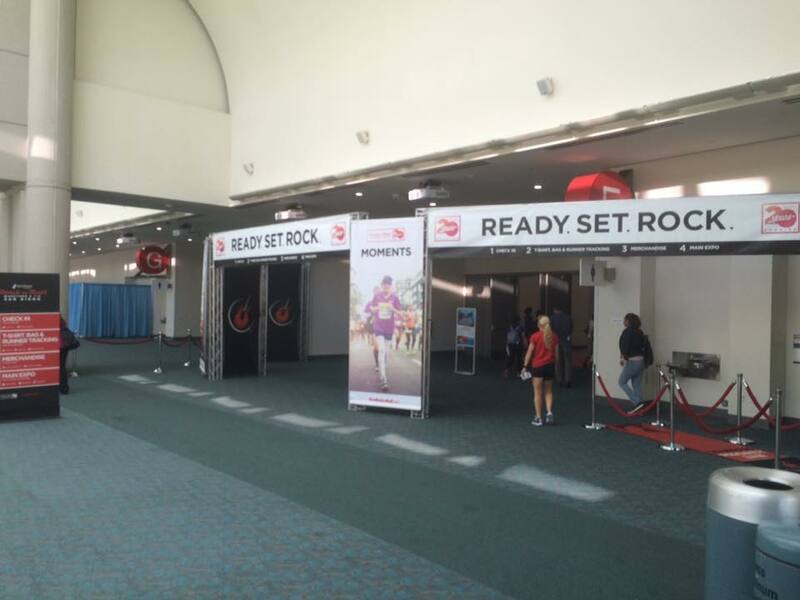 Up next…the Rock n Roll San Diego 5K in the morning. im glad you enjoyed Amtrak as much as I did-it was so worth it for the ease of travel and not having to pay to park at a hotel in downtown! 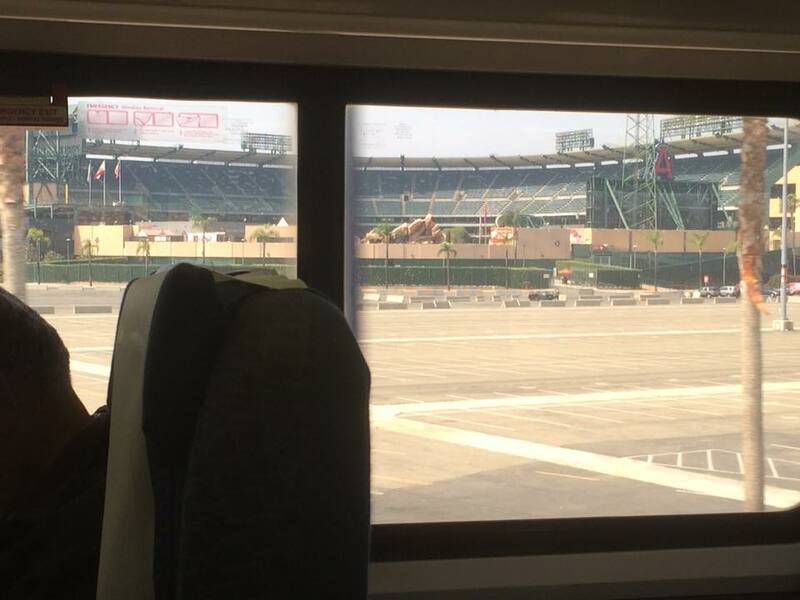 Nice…there is nothing like a train ride – glad you had a great time.